Michael Sam made headlines around the world when he became the first openly gay player drafted for the American National Football League. When he didn't get a permanent contract with any NFL teams in the USA we were excited about having him play for the Canadian Football League's Montreal Alouettes. Now, sadly, he is leaving pro football altogether citing mental health reasons. "The last 12 months have been very difficult for me, to the point where I became concerned with my mental health....Because of this I am going to step away from the game at this time." 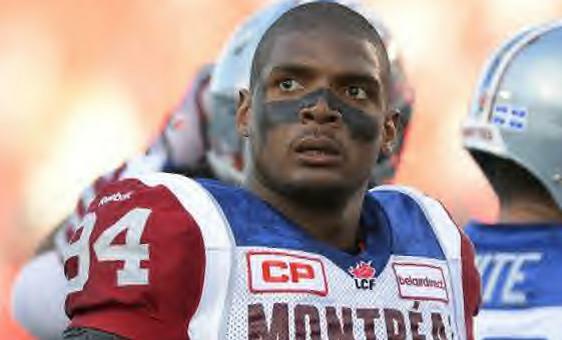 Michael Sam had a 2 year deal with the Alouettes. He's only 25-years-old and has his whole life ahead of him. I hope he gets the help that he needs.